A new company, Kepler Energy Limited, has been formed to develop a tidal turbine which has the potential to harness tidal energy more efficiently and cheaply, using a device which is simpler, more robust and more scaleable than current designs. The turbine is the result of research in Oxford University's Department of Engineering Science by Professor Guy Houlsby, Professor of Civil Engineering, Dr. Malcolm McCulloch, head of the electrical power group, and Professor Martin Oldfield, Emeritus Professor of the thermofluids laboratory. Kepler Energy Limited will design, test and develop a horizontal axis water turbine intended to intersect the largest possible area of current. The rota is cylindrical and rolls around its axis, thereby catching the current. The researchers received £50,000 in funding from the Oxford University Challenge Seed fund, managed by Isis Innovation, to build a 0.5 metre diameter prototype demonstrating the benefits of the design. A full-scale device would measure up to 10 metres in diameter, and a series of turbines can be chained together across a tidal channel. UK waters are estimated to offer 10 per cent of the global extractable tidal resource. Tidal currents are sub-surface, so tidal turbines have minimum visual impact, unlike wind farms or estuary barrage schemes. Hydroelectric power is the oldest and the "greenest" source of renewable energy. In Germany, the potential would appear to be completely exploited, while large-scale projects in developing countries are eliciting strong criticism due to their major impact on the environment. Researchers at Technische Universitaet Muenchen (TUM) have developed a small-scale hydroelectric power plant that solves a number of problems at the same time: The construction is so simple, and thereby cost-efficient, that the power generation system is capable of operating profitably in connection with even modest dam heights. Moreover, the system is concealed in a shaft, minimizing the impact on the landscape and waterways. There are thousands of locations in Europe where such power plants would be viable, in addition to regions throughout the world where hydroelectric power remains an untapped resource. In Germany, hydroelectric power accounts for some three percent of the electricity consumed – a long-standing figure that was not expected to change in any significant way. After all, the good locations for hydroelectricpower plants have long since been developed. In a number of newly industrialized nations, huge dams are being discussed that would flood settled landscapes and destroy ecosystems. In many underdeveloped countries, the funds and engineering know-how that would be necessary to bring hydroelectric power on line are not available. The large size of the plant, which includes concrete construction for the diversion of water and a power house, involves high construction costs and destruction of natural riverside landscapes. Each plant is a custom-designed, one-off project. In order to achieve the optimal flow conditions at the power plant, the construction must be planned individually according to the dam height and the surrounding topography. How can an even flow of water to the turbines be achieved? How will the water be guided away from the turbines in its further course? 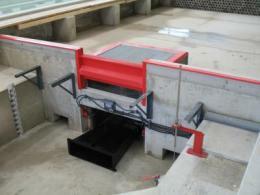 Fish-passage facilities need to be provided to help fish bypass the power station. In many instances, their downstream passage does not succeed as the current forces them in the direction of the power plant. Larger fish are pressed against the rakes protecting the intake of the power plant, while smaller fish can be injured by the turbine. 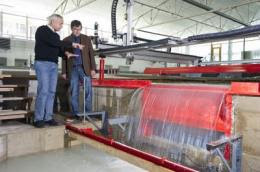 A solution to all of these problems has now been demonstrated, in the small-scale hydroelectric power plant developed as a model by a team headed by Prof. Peter Rutschmann and Dipl.-Ing. Albert Sepp at the Oskar von Miller-Institut, the TUM research institution for hydraulic and water resources engineering. Their approach incurs very little impact on the landscape. Only a small transformer station is visible on the banks of the river. In place of a large power station building on the riverside, a shaft dug into the riverbed in front of the dam conceals most of the power generation system. The water flows into a box-shaped construction, drives the turbine, and is guided back into the river underneath the dam. This solution has become practical due to the fact that several manufacturers have developed generators that are capable of underwater operation – thereby dispensing with the need for a riverbank power house. The TUM researchers still had additional problems to solve: how to prevent undesirable vortex formation where water suddenly flows downward; and how to best protect the fish. Rutschmann and Sepp solved two problems with a single solution – by providing a gate in the dam above the power plant shaft. In this way, enough water flows through to enable fish to pass. At the same time, the flow inhibits vortex formation that would reduce the plant's efficiency and increase wear and tear on the turbine. The core of the concept is not optimizing efficiency, however, but optimizing cost: Standardized pre-fabricated modules should make it possible to order a "power plant kit" just like ordering from a catalog. "We assume that the costs are between 30 and 50 percent lower by comparison with a bay-type hydropower plant," Peter Rutschmann says. The shaft power plant is capable of operating economically given a low "head" of water of only one to two meters, while a bay-type power plant requires at least twice this head of water. Series production could offer an additional advantage: In the case of wider bodies of water, several shafts could be dug next to each other – also at different points in time, as determined by demand and available financing. Investors can now consider locations for the utilization of hydropower that had hardly been interesting before. This potential has gained special significance in light of the EU Water Framework Directive. The directive stipulates that fish obstacles are to be removed even in smaller rivers. In Bavaria alone, there are several thousand existing transverse structures, such as weirs, that will have to be converted, many of which also meet the prerequisites for shaft power plants. Construction of thousands of fish ladders would not only cost billions but would also load the atmosphere with tons of climate-altering greenhouse gas emissions. If in the process shaft power plants with fish gates and additional upstream fish ladders were installed, investors could shoulder the costs and ensure the generation of climate-friendly energy over the long term – providing enough power for smaller communities from small, neighborhood hydroelectric plants. Shaft power plants could also play a significant role in developing countries. "Major portions of the world's population have no access to electricity at all," Rutschmann notes. "Distributed, local power generation by lower-cost, easy-to-operate, low-maintenance power plants is the only solution. For cases in which turbines are not financially feasible, Rutschmann has already come up with an alternative: "It would be possible to use a cheap submersible pump and run it in reverse – something that also works in our power plant." From Arizona University comes a very promising break-through in utilising heat energy. The heat wasted in electrical generation is monstrous, typically 2kW of heat produced from every 1kW of electricity generated. Traditionally this is just dissipated in the cooling towers to the atmosphere. But if this waste energy can be harnessed and turned into more electricity then this 'wasted' energy can be properly harvested. Report below. With rapid industrialization, the world has seen the development of a number of items or units, which generate heat. Until now this heat has often been treated as a waste, making people wonder if this enormous heat being generated can be transformed into a source of electric power. Now, with the physicists at the University of Arizona finding new ways to harvest energy through heat, this dream is actually going to become a reality. University of Arizona Research Team: The research team is headed by Charles Staffor. He is the associate professor of physics, and he along with his team worked on harvesting energy from waste. The team’s findings were published in the September 2010 issue of the scientific journal, ACS Nano. Advantages: Elimination of Ozone Depleting materials: Using the waste heat as a form of electric power has multiple advantages. Whereas on one hand, using the theoretical model of molecular thermoelectric helps in increasing the efficiency of cars, power plants factories and solar panels, on the other hand efficient thermoelectric materials make ozone-depleting chlorofluorocarbons, or CFCs, outdated. More Efficient Design: The head of the research team Charles Stafford is hopeful about positive results because he expects that the thermoelectric voltage using their design will be 100 times more than what others have achieved. 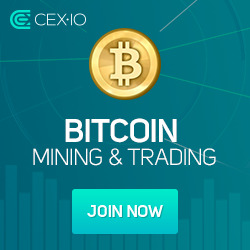 If the design of the team, which they have made on a computer does work, it will be a dream come true for all those engineers, who wanted to catch and make use of energy lost through waste but do not have the required efficient and economical devices to do so. No need for Mechanics: The heat-conversion device invented by Bergfield and Stafford do not require any kind of machines or ozone-depleting chemicals, as was the case with refrigerators and steam turbines, which were earlier used to convert waste into electric energy. Now, the same work is done by sandwiching a rubber-like polymer between two metals, which acts like an electrode. The thermoelectric devices are self-contained, need no moving parts and are easy to manufacture and maintain. Utilisation Of Waste Energy: Energy is harvested in many ways using the car and factory waste. Car and factory waste can be used for generating electricity by coating exhaust pipes with a thin material, which is a millionth time of an inch. Physicists also take advantage of the law of quantum physics, which though not used often enough, gives great results when it comes to generating power from the waste. Advantage Over Solar Energy: Molecular thermoelectric devices may help in harvesting energy from the sun and reduce the dependence on photovoltic (PV) cells, whose efficiency in harvesting solar energy is going down. SEE COMMENT: Thus solar thermal collectors, which are far cheaper than PV could eventually be utilised for direct electrical generation in the home or commercially. Though having worked on the molecule and thinking about using them for a thermoelectric device, Bergfield and Stafford had not found anything special till an undergraduate discovered that these molecules had special features. A large number of molecules were then sandwiched between electrodes and exposed to a stimulated heat source. The flow of electrons along the molecule was split in two once it encounters a benzene ring, with one flow of electrons following along each arm of the ring. The benzene ring circuit was designed in such a way that the electron travels longer distance round the rings in one path, which causes the two electrons to be out of phase when they reach the other side of the benzene ring. The waves cancel out each-other on meeting. The interruption caused in the flow of electric charge due to varied temperature builds up voltage between electrodes. The effects seen on molecules are not unique because any quantum scale device having cancellation of electric charge will show a similar effect if there is a temperature difference. With the increase in temperature difference, energy generated also increases. Thermoelectric devices designed by Bergfield and Stafford can generate power that can light a 100 Watt bulb or increase car’s efficiency by 25%. Cirencester in Gloucestershire is to become one of the first towns in the UK to benefit from power generated using chicken litter and other farming waste products. The Combined Heat and Power plant (CHP) which is due to open in November is being built on a farm to the south of the market town. It will take animal waste as well as corn, wheat and grass from local farms and produce methane-rich biogas via a process of anaerobic digestion. This we believe is much more suitable than incineration. The bio-gas will be used to power a Combined Heat and Power unit generating around 1MW of electricity, enough to supply 350 homes. The wasted heat energy (around 2MW) will be used for keeping the animal sheds warm, drying grain and local housing central heating and hot water. The utilisation of this form of energy as usable heat is what makes this system so attractive. Every bit of energy, whether electrical or heat is used, unlike in traditional power stations where the heat is ejected to the atmosphere via those vast cooling towers. After the biogas is extracted the fibrous material left is spread on the land as fertilizer. Now that' what we call efficiency. At Sun Earth Energy this same technology can be used in a town near you!!! Please contact us for details. And by the way some of the wasted heat from this process can be used for air conditioning for commercial offices. This can be especially useful in the summer months when less heat load is needed.